Nothing says winter like bringing out your best pair of boots. While packing up cute sundresses and shorts is a bittersweet proposition, changing out your sandals for boots is something to look forward to. From work to a casual day out to a special event, there are winter boots that are appropriate for any occasion. The most comfortable and versatile boots are the ones geared towards hiking or around town use. Here are some tips for choosing a pair of winter boots that combines fashion and functionality. Winter boots for women come in a variety of heights, from boots that just cover your ankles to ones that go all the way up to the knee. 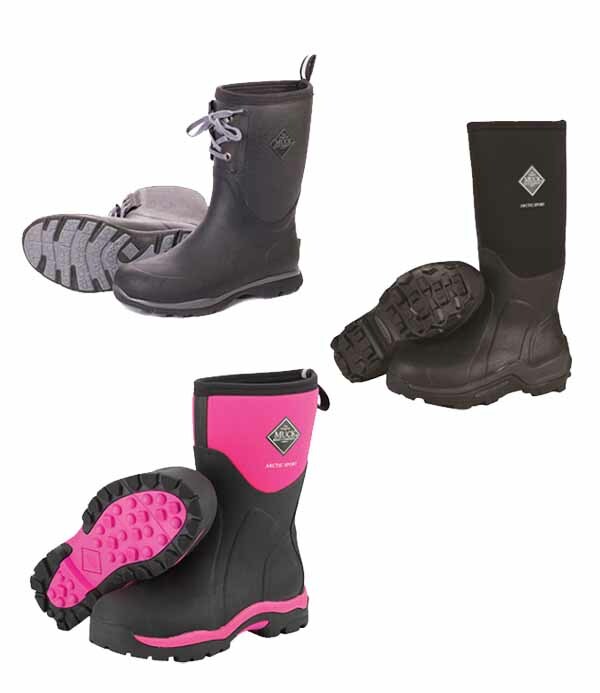 Longer boots offer more protection from snow and rain, and they are often a little warmer. However, the higher the boot the more expensive it tends to be, not to mention that tall boots are significantly more difficult to remove than short ones. Winter boots tend to be made from genuine leather, or from synthetic fibers. Both materials are equally warm, and each has its own advantages and drawbacks. Synthetic boots are more comfortable right out of the package, while leather styles tend to take a little longer to break in. Synthetic boots also require less upkeep in the form of conditioning and moisturizing, but leather is more resistant to tearing or other damage. Most winter boots come with a temperature rating in the form of a degree range. This rating represents the coldest temperature the boots can be worn at while still keeping your feet warm. Take into account how cold it gets in your area when choosing a pair of boots with a temperature rating. The price of boots increases when the temperature rating gets lower. Here’s a detailed guide on how to choose insulated boots. If you plan to do a lot of walking in your winter boots, choose a pair that goes easy on your feet. Flat soles and adjustable laces are a good way to ensure that your boots remain comfortable. When you first buy a pair of boots, they may be a bit stiff so wear them around the house or for short walks until they are broken in. Many people like the option of wearing thick socks or double pairs of socks with their winter boots. If you regularly do this, consider buying boots about a half size larger than what you usually wear to ensure plenty of room. Online boot stores such as the Muck Boot Company offers a variety of winter boots that will keep you warm and comfortable in cold weather conditions. A good pair of winter boots can last for several years, and so don’t be afraid to splurge to get the pair that is perfect for you.